Options and features which we offer for your online Selenium tests. Test your website and app on 1500+ real browsers and mobile simulators. Replace your internal selenium grid with our cloud-based Selenium Grid. 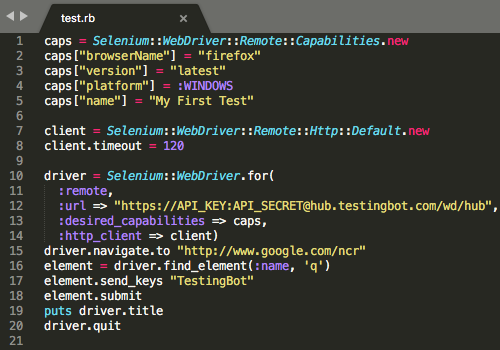 The TestingBot cloud allows you to run tests against your webapp on +1500 different browser combinations. Let us take care of your testing infrastructure. We maintain a cloud of Desktop and Mobile platforms for you to run tests on. Receive instant access to a grid of 1500+ browser combinations. 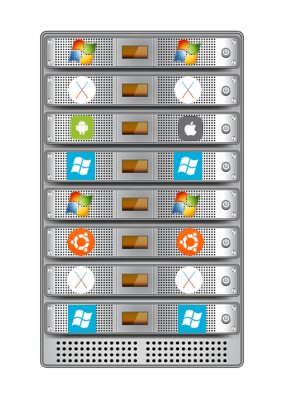 Our testing grid offers a lot of flavors: Internet Explorer, Microsoft Edge, FireFox, Chrome, (Mobile) Safari, ... all versions available, running on real Windows, Mac OS X, Android and Linux machines. 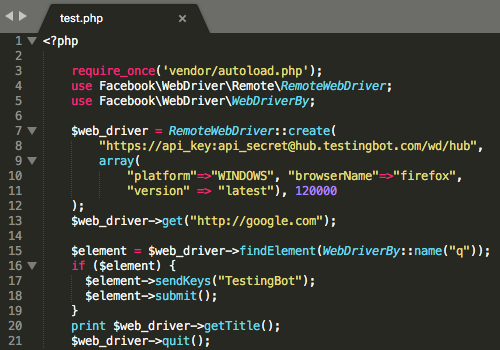 We provide test examples for Appium, PHP, Java, Ruby, Python, NodeJS, C# and many more. Integrate TestingBot into your CI system with our plugins for Jenkins, Travis, TeamCity and others. When you run a test on TestingBot, we collect screenshots, a screen recording and log files of your test. Log files include Selenium logs, browser console logs and network logs. Pause an automated test to manually start debugging. 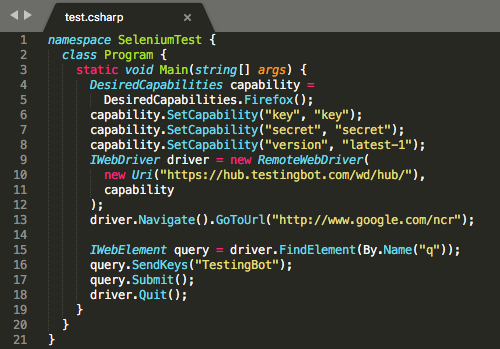 In our TestLab you can upload Selenium IDE tests and have TestingBot run these tests for you at specific intervals. 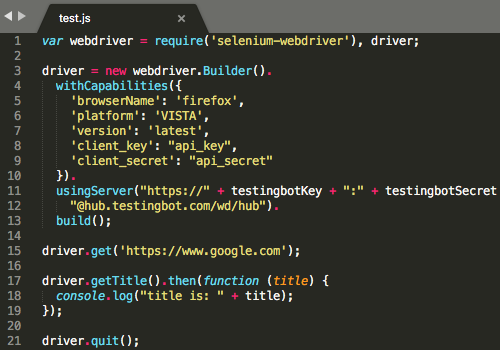 Create a Selenium test with the Selenium IDE Addon and upload it to our TestLab. Indicate when you want the test to run and on which browsers. Indicate how you want to be alerted of a Test Failure. 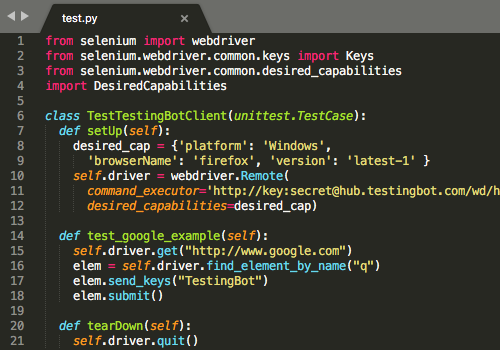 Our TestLab acts as a Continuous Integration system in the cloud for Selenium IDE tests. Complete tests that usually take hours in matters of minutes by running multiple tests simultaneously. 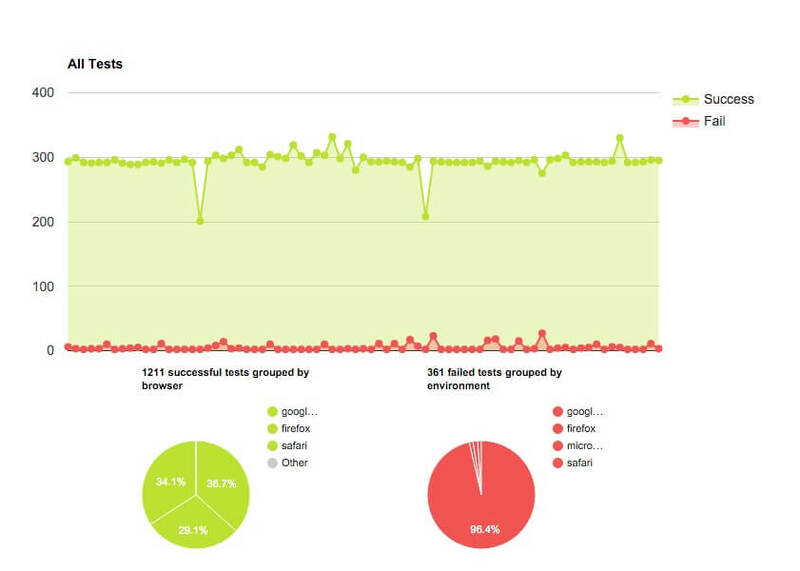 With TestingBot you can run 10, 50, or even hundreds of tests in parallel on our browser grid. For example: run a single test on 50 different browser versions simultaneously, or run 50 tests on the same browser concurrently. Drastically shorten your release cycle by reducing your testing time. Our member area and API offer detailed analytics about your tests. Whether you're looking for an overview of your tests or want to pin down a specific failed test, our advanced reporting tools will make your life easier. Our analytics filter allows you to do a detailed search through all the tests you've run. Use our API to make your own custom-tailored reports. We built TestingBot Tunnel which creates a secure and reliable connection between our test cloud and your local network. 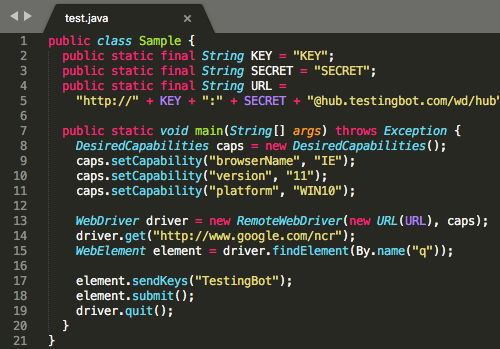 With this Enterprise-grade secure tunnel, you can safely test your development and staging environments on TestingBot. For each test we spin up a fresh, pristine, Virtual Machine with a real browser. 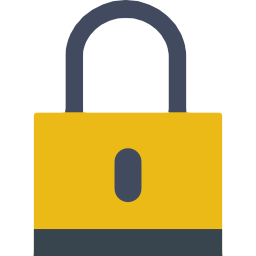 Once the test is finished, the VM is immediately destroyed, ensuring maximum privacy and security. Your data is never exposed to future sessions. 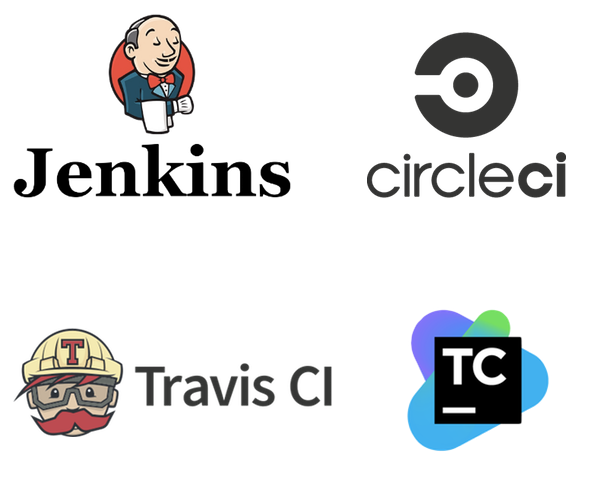 Testingbot integrates with various services, including these CI systems: Jenkins, TeamCity, Travis CI, Circle CI and others. See screenshots, a screen recording and various other data straight from inside these services.